Greeks on campus, misconceptions debunked. 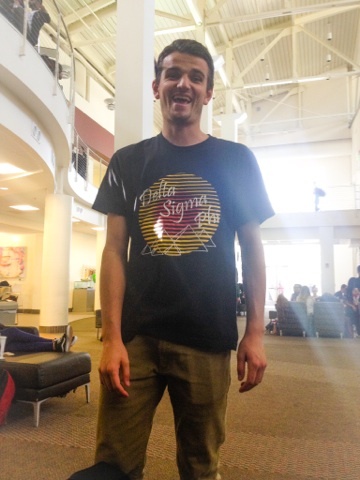 When you think about Greek organizations on campus, what comes to mind? There are some people who see Greeks as extreme partiers, slackers, social conformers, and overall, terrible human beings who take up space on college campuses. While Greeks are cast in this kind of distasteful light by the media, that is not always the case. There are 17 different Greek organizations on campus and each of these organizations give to a different philanthropy they are actively involved with. For example, Alpha Delta Pi’s philanthropy is the Ronald McDonald House Charities, Delta Sigma Phi’s is the American Red Cross, and Zeta Tau Alpha’s is Think Pink Breast Cancer Education and Awareness—to name a few. Each organization raises money for these philanthropies all year, every year, raising approximately $7 million per year for charity. The Greek community tends to be viewed as lazy, as well as generally not the sharpest tacks in the box. Yet within said community, there is a constant drive to achieve better grades. When asked about their experiences within the Greek community, there was a general similarity in opinions and experiences. “You get to meet a lot of people too, which is pretty cool, you get to get out there,” added Perri. 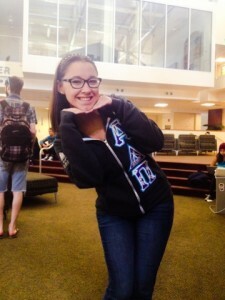 When asked if she would enter the Greek community again, Elle emphatically said she would. The same sort of answers came from the fraternity side. Admittedly, I originally had some doubts about the Greek system. But I decided to give it a chance. I joined Alpha Delta Pi where I was encouraged to do well in school, become more engaged in campus life, as well as become more involved in the community. I found that there is more to Greek life than meets the eye. Player of the week: Gouch the "Gatorade"